After unexpectedly postponing a concert earlier this week, D'Angelo has left his fans wondering what he's got up his sleeve next. Fortunately, the one-off show previously scheduled for March 7 at the Eventim Apollo in London was postponed for a good reason: the Grammy-winning singer reportedly has new music on the way. "As D'Angelo has been working in the studio, deep in the recording process, he apologizes to any fans that this announcement might impact and is excited to see you all in June," a statement accompanying the news reads. The show in question has been rescheduled for June 21. Similarly, Big Sean recently made the same tough call, postponing his forthcoming tour to focus on recording and polishing his latest body of work. As such, fans are trusting that both artists know what's best when it comes to their creative processes, and surely, neither will disappoint. 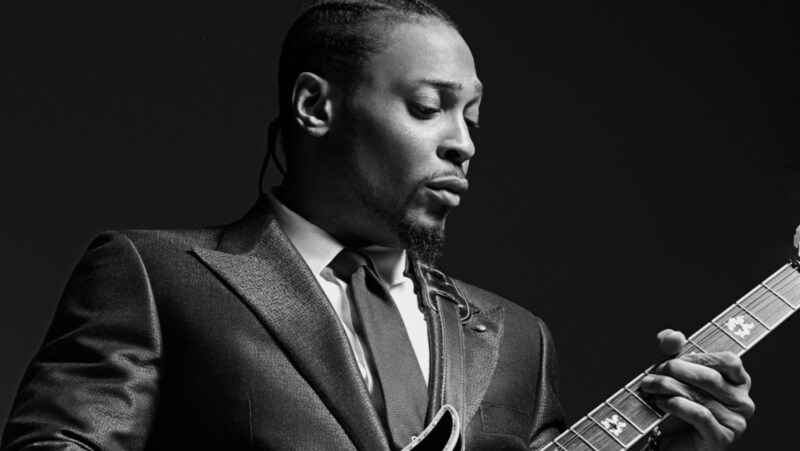 D'Angelo's latest album Black Messiah arrived in 2014 and was met with critical acclaim.